Ten years ‘sustainable’ palmoil, a reason to celebrate? Last week the Indonesian president Yudhoyono was visiting Europe. This was a good opportunity to ask attention for a few things. One of them is the ongoing deforestation and landgrabbing for palmoil and other plantations. On the 31st of October the president was in London where, amongst other things, he was given a letter (1) in which the president was asked to make sure that the cutting down of rain forests would be stopped and the inhabitants of the forest would be protected. The cutting down of forests and the clearing of peat lands have increased the emission of greenhouse gasses of Indonesia. Next to that there is the danger that unique species, like the Orang Utan, will die out, because there habitat is destroyed. And the local people are driven from there homes and lands with the result that they cannot grow or collect their food anymore, which leads to hunger and poverty. At the same time, there was the 10th yearly meeting of the Round Table on Sustainable Palmoil, RSPO, on the 31st of October and the 1st of November. The vision of the RSPO is to “transform markets to make sustainabel palmoil the norm”. (2) This sounds like a noble idea, but what does the RSPO really accomplish? [this article only exists in Dutch] Na vele jaren van campagnes tegen de grootschalige productie van biobrandstof lijkt demissionair staatssecretaris van landbouw Bleker nu die boodschap te ondersteunen. 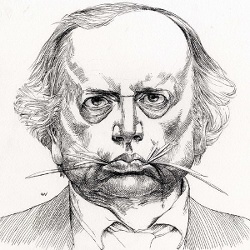 Volgens hem moeten voedselproducten als graan, maïs en suiker niet meer gebruikt worden voor de productie van brandstof. “We zouden alleen biobrandstof moeten maken van afval.” Hij zegt dit als een reactie op de stijgende graanprijzen en het voorstel van LTO-voorzitter Albert-Jan Maat om grotere graanvoorraden aan te leggen. [article so far only available in Dutch] Op het moment vindt in Rio de Janeiro een grote VN-top over duurzaamheid plaats, kortweg de Rio+20 Confentie. 20 jaar geleden was er de Earth Summit, de eerste Rio-conferentie. Rond die tijd – en als het ware als reactie op die top – werd ASEED opgericht. Het milieu was toen een populair onderwerp. Velen geloofden nog dat de uitkomsten van ‘Rio’ ook werkelijk iets zouden gaan veranderen en dat de wereld duurzamer zou worden met minder mensen die het slachtoffer zijn van milieuvervuiling. En hoewel de meeste problemen sindsdien alleen maar groter zijn geworden, is de zorg om het milieu wat weggezakt. De lust tot het maken van winst is echter groter dan ooit. En het milieu en de milieuvervuiling worden steeds meer gezien als iets om aan te verdienen. support Food Sovereignty – support Blockupy in Frankfurt! Although we have to admit that nobody ASEED could find time to go to the action days in Frankfurt, we do support Blockupy. Below you find a statement from the European Food Sovereinty Movement calling for actions against the big banks and their involvement in agriculture world wide. 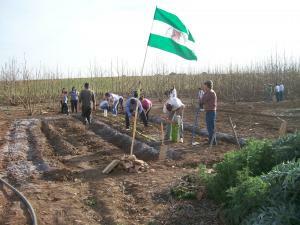 The current industrial agriculture is part of the industrial economy and capitalist society. To be able to move towards a social and sustainable agriculture we have to change the economy as well. We should move away from economical growth and the addiction to fossil fuels. Focus on all people’s real needs. 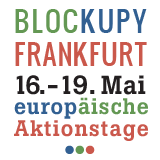 We call for all who support Food Sovereignty – individuals, networks, groups, unions, organizations- to mobilize for Blockupy Frankfurt and to participate at the action days! Probably your solidarity is also needed after the action days. The German government and police are criminalising activists and the planned events. 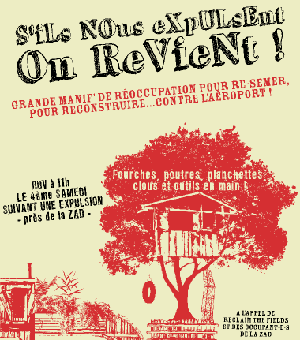 “A reoccupation action is being planned in case of an eviction at Notre-Dame-des-Landes in France: To re-plant and rebuild against the construction of the airport: Vinci get out! Not here, not Khimki*, not anywhere! Once every 10 years sustainable development is high on the agenda of the United Nations. This started in 1992 with the ‘Earth Summit’ in Rio de Janeiro. The international conferences on climate and on biodiversity were a result of that meeting. In the beginning is was actually quite promising. Unfortunately the influence of corporations has on those processes has increased since then. Environmental regulation were seen as a danger for their profit, while ‘green’ became a strategy to sell more products. Aguante Somonte! Tierra y libertad!